Cocktails & Gelato: Venice takes the bronze! 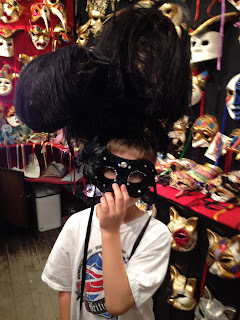 Venice for kids is magical. So I shouldn't have been surprised when it made the little C&Gs top 3 on the list of cities they've visited. Over cocktails on our last night of vacation last Wednesday (was it really only a week ago?) we chatted about our favorite cities from all of our trips. We challenged the boys to list their top 5, and they weren't limited to our summer adventures in Europe. Even home base of Portland, Maine was eligible for top honors. Copenhagen was the number one city on all of our lists. Possibly because it's the first European city we visited as a family, but Copenhagen is so stunningly beautiful it's easy to see how we all agreed. With Tivoli Gardens for entertainment and the colorful waterfront of Nyhavn to explore, we absolutely loved our few days there and it's no surprise we all want to go back. Venice came in at number 3 for both boys, which I totally wasn't expecting. When we were there last August it was brutally hot (approaching 100º most days), very crowded, and just a tad bit smelly. But the island city must have made quite the impression to beat out more than forty other cities on our list. Mr. C&G and I were not such fans of Venice and we were both happy to check it off our travel to do list, but I think the boys want a repeat visit. 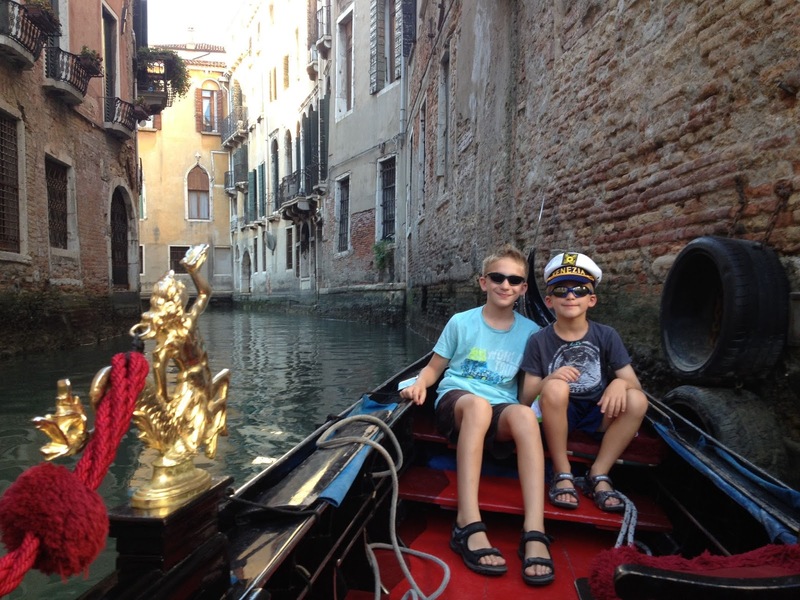 A huge part of the kid appeal of Venice is that it looks like no other place on earth. The island is a jumble of narrow alleys and ancient bridges, and there's adventure around every turn. You can get totally lost without ever being actually lost, as every sidewalk will eventually meet up with a body of water and you can easily get your bearings. For kiddos with a sense of adventure it's one giant playground, complete with pasta and gelato never too far out of reach.